Cream cheese fritters, English summer maple cherries. It’s officially summer ­– the season to enjoy fresh summer fruit, al fresco dining and BBQs in the garden. Today I have a guest post : pure maple syrup from Quebec. With English cherries at the height of their season this month, we’ve created a recipe to showcase them in all their glory. 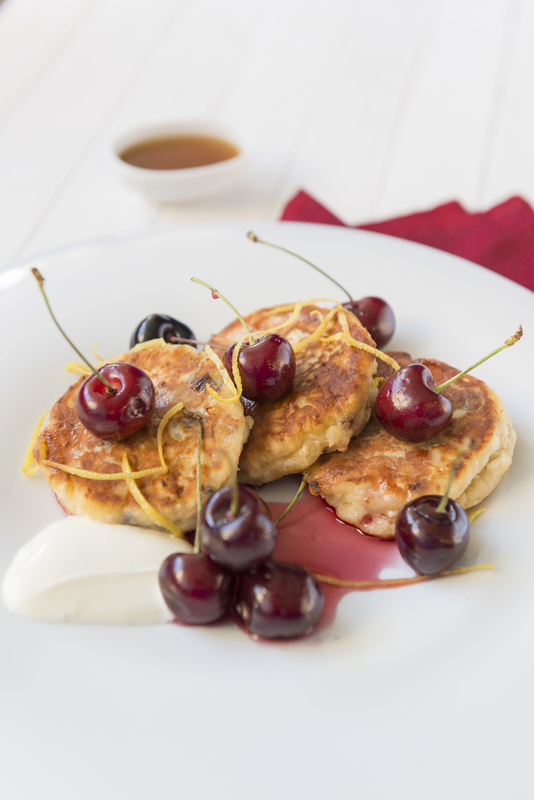 Our cream cheese fritters with English summer cherries and pure maple syrup from Quebec make a lovely breakfast, brunch or dessert. The delicate creaminess of the cheese offsets the rich sweetness of the cherries and maple syrup to create a light yet indulgent summer treat. Place cream cheese, cottage cheese, eggs, vanilla extract and sugar in a bowl. Beat until smooth. Stir in raisins and lemon zest. Cover and refrigerate for four hours, or overnight. Roll into balls with excess flour, flatten into disks. Place on baking tray with greaseproof paper. Melt butter and oil in frying pan and cook fritters for 2 minutes each side until golden brown. Heat maple syrup, lemon juice, cherries and 1 tbsp of water in a pan until cherries become soft. Serve the fritters warm with cherries. Any fresh of preserved fruit can be used. All seasonal fruits can be used e.g. poached pears and pineapple would be a good alternative. This is a guest post : pure maple syrup from Quebec. No Payment was received. 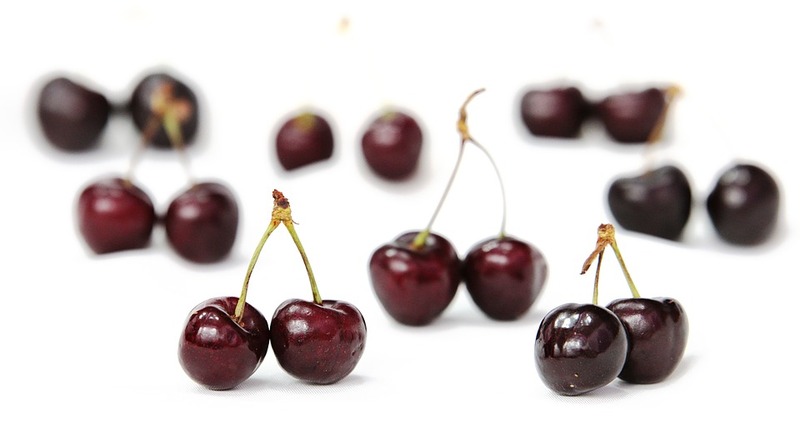 "July Flowers : The Wednesday Blog Hop"
I love summer cherries. These fritters look so good! I just wish I had the ingredients here right now to make it – looks delicious. Thank you for the mehod and inspiration. O M G These are mouth-watering treats! They look sooooooooo GOOD !! This looks like the very definition of heaven, I love cream cheese so I would love to try the fritters! Ha!! Hope you get to try them!! These looks very tasty. I bet it was. Will be trying my hands on making these. Oh man…I could really take like 20 of these down! YUM!I would love for you to share this with my Facebook Group for recipes, crafts, tips, and tricks: https://www.facebook.com/groups/pluckyrecipescraftstips/Thanks for joining Cooking and Crafting with J & J! Thanks Claire for sharing this awesome recipe with us at Cooking and Crafting with J & J.